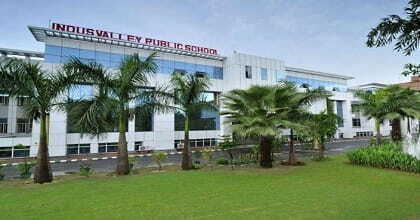 Indus Valley Public School Noida is a co-educational school. This is among the Top 25 Private Schools in Noida. The IVPS Noida came into existence in 2002 to provide an opportunity through quality education. It was recognized by Directorate of Education, Delhi. IVPS Noida is affiliated to CBSE (Central Board of Secondary Education). Students take the AISSE (class X) and AISSCE (class XII) Exam in the month of March every year. Indus Valley Public School Noida offers a world-class education with the help of modern equipment and updated teaching methodology. The school allows admission from Nursery to XII. Indus Valley Public School Noida is primarily meant to cater to the educational aspirations of the students and parents residing in Noida. No discrimination is made in the name of caste, creed, race, status or gender. We strictly adhere to the guidelines of the regulatory bodies such as MHRD, CBSE and the Directorate of education. The admission process is designed in accordance with the instructions available from time to time. Provisions for admission of the children from economically weaker section is in place in accordance with the existing rules. The registration does not guarantee admission unless the candidate has completed the entire process successfully. Admission / Registration form is required to be submitted within the stipulated time. The child seeking admission to Pre-School must have completed 3+ years on or before 31st March in the academic year of admission sought. Admission in classes Nur to XII is subject to the availability of vacancy. Admission criteria and other details are notified as and when applicable. This is one of the Top 20 Public Schools in Noida. We would like to give this college 4.2 out of 5 stars on Edufever Best Private Schools in Uttar Pradesh. For any feedback and suggestions, comment the box mentioned below.